5 more reasons why Ash will always have the last laugh! After seeing Aishwarya Rai dazzle at the Cannes red carpet this year, while her co-stars struggled with their designer attires and went horribly wrong with their accessories and hairdos, I come up with five more reasons why the 39-year-old star will always be a class apart in Bollywood and in our hearts. The names Vidya Balan and Sabyasachi Mukherjee are nowadays inseparable. While the latter re-invented her sense of style, Vidya, as she has gone up the ladder of success, has given the designer more free advertising than he could ever have hoped for. But Vidya’s Sabyasachi clothes were more criticized than lauded at Cannes this year. On the other hand with a gold and black saree designed by Sabyasachi, Aishwarya turned all heads at the same festival. In fact, I will be not surprised if the designer kept away (in a secret cupboard lest Vidya sees it) his best creation for her. After all it’s an honour to dress up Aishwarya Rai. After last year’s Cannes appearance there was more talk about Aishwarya’s still-sticking mummy fat than anything else. But Ash was rightly more concerned about her own health than wagging tongues. In a year’s time she has silenced her critics by losing all her post-childbirth weight and looking as gorgeous as ever. Now from being a role model to aspiring actresses and models she has become one to aspiring mothers too. Her simple message: Be yourself! 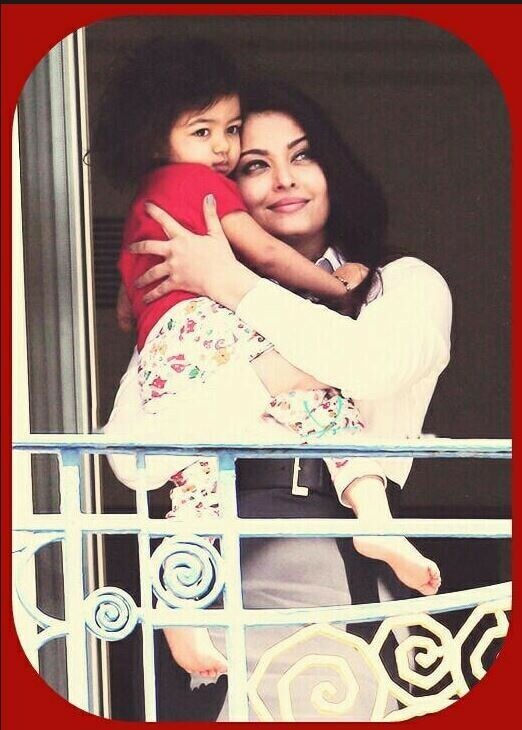 Whenever Aishwarya is travelling she always has her daughter Aradhya with her. She has proved that you can have your child around and still be working and balancing both. She has been apparently checking on Aradhya at her hotel room in between photoshoots and interviews at Cannes. By being both full-time mom and a working mom she’s shown that it is possible to work your schedule around your priorities. In an industry where actresses are written off when they are hitting 30 Aishwarya Rai has proved to be an exception. She has not only delivered hits post-30 and post-marriage, she has proved that a woman can be pushing 40 and still be the centre of all attention. No wonder all the younger stars (read: Sonam Kapoor, Mallika Sherawat and even Vidya Balan, did anyone say Freida Pinto?) were pushed aside when Aishwarya took centre stage. Then there was only talk of her black saree, her lacy gown her mermaid skirt…. Let’s face it. Every year fresh new faces from Bollywood walk the Cannes red carpet but Aishwarya Rai is our pièce de résistance. The media and the public alike wait (with bated breath should I say?) for the appearance of Aishwarya Rai on the red carpet. Wonder who could take her place from Bollywood if one fine day she misses her appearance at Cannes. In my opinion, NO ONE! Thanks so much for your feedback. Criticism is always welcome and I will definitely keep your pointers in mind. I wrote this follow up post because I felt Ash has emerged a clear winner at Cannes once again and in life definitely. For all the things a journalist can write about in this wide world of ours, you chose to follow a third rate track (trash??) (which appears to be even lower in stature than those photographers who would chase celebrities to their potties just a take a few private photos for a few bucks). And to comment like that about a woman not shedding fat to your liking after she managed to bring a healthy baby to this world!! How low can you get? How do you live with yourself? You apparently do not suffer from your conscience questioning your actions very much. Do you have idea physiologically how complicated the process of losing pregnancy fat actually is? How it varies greatly from person to person? Please get a life….write about something meaningful!! It seems you have not read both of my posts on Aishwarya Rai – where I have actually appreciated the fact that she has NOT rushed to lose her baby fat and has held her own in a looks obsessed-industry. Please read before you write. You are right, I had not read any of your columns before, except did catch vaguely last year that some journalist(!) had criticized Aishwarya for her appearance/ baby fat at the Cannes. I am not into celebrities, though I should have been more respectful toward your column. With a clear writing talent, you have decided to serve those who are into such things; it is perfectly fine & wish you continued success. But my purpose for writing today is to give you a lot of credit for the courage to allow a negative comment like mine to be published – something I didn’t expect. It must have stung, but you are obviously very secure in what you do and that is to respected by all. Good luck. I am glad you went back to my posts and changed your views 🙂 Thanks for your positive comments. beautiful, and so is what she is wearing! i must appreciate ash for giving importance to her family..along with her career.. Thank you. Agree with your comment.